Research work has been supported by Microsoft, Baidu, Huawei, Tencent, InfoSys, etc. --Denghao Ma, Yueguo Chen, Kevin C.C. 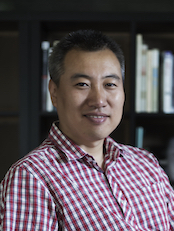 Chang, Xiaoyong Du: Leveraging Fine-Grained Wikipedia Categories for Entity Search. Accepted by WWW 2018. --Haoqiong Bian, Youxian Tao, Guodong Jin, Yueguo Chen, Xiongpai Qin, Xiaoyong Du: Rainbow: Adaptive Layout Optimization for Wide Tables. Demo accepted by ICDE 2018. PC Members: VLDB, ICDE, WWW, CIKM, etc.